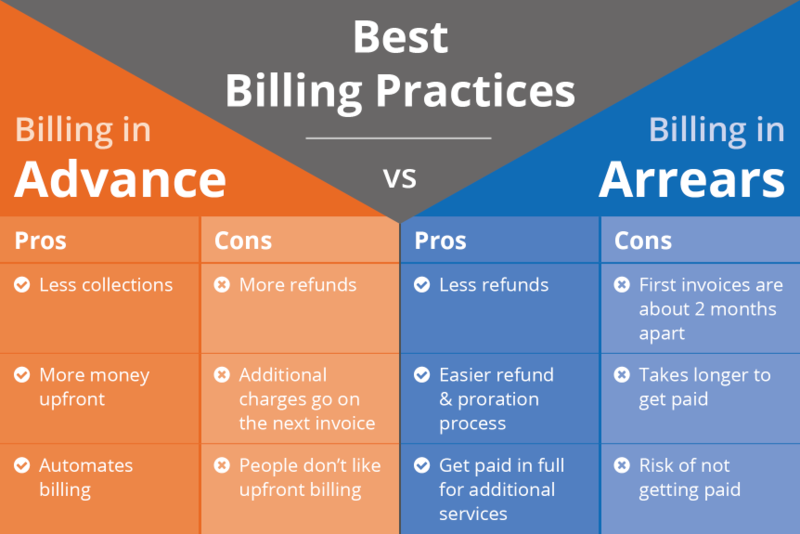 When it comes to the best billing practices, you can choose between billing in advance and billing in arrears. Advance billing is when you invoice your customer prior to providing a service or job. Arrears is when you bill your customer after the service or job is complete. Both billing practices are great options for the liquid waste industry. However, it’s hard to know which one would be best for you and your company. That’s why in this blog, we will compare the pros and cons of both billing practices to help you determine which is the right one for you. Billing in advance is good for companies that don’t want to issue a lot of refunds or tack on additional services during a job. It’s used best for newer customers that have a recurring job scheduled on a regular basis. Billing in arrears is good for jobs where you may have to add on additional services at some point. It should also be used for customers that you trust and have a good relationship with so you’re sure to get the full amount that they owe you after you do the work. ServiceCore provides top of the line accounting and invoicing software to help you streamline the way you do business. Our features let you handle all of your customer billing and payment information in the same place so you don’t lose track of it. Plus you can set up both advance and arrears billing for your customers as you see fit.